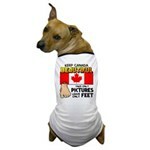 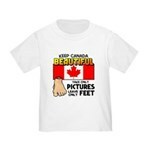 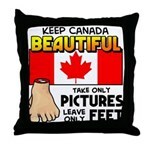 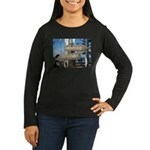 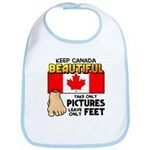 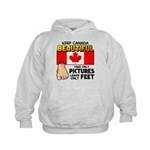 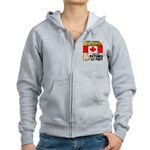 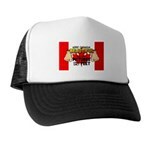 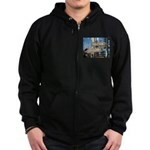 Keep Canada beautiful! 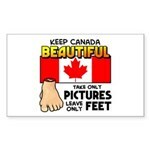 Take only pictures and leave only feet. 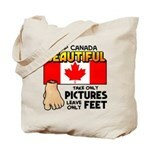 This phrase is a spoof of the common saying "take only pictures, leave only footprints", of course. 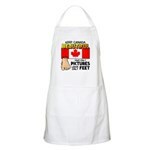 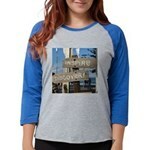 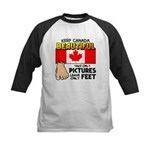 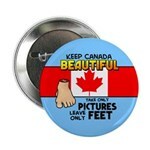 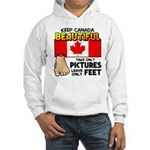 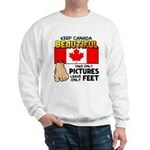 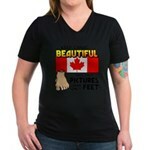 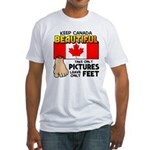 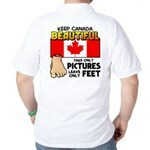 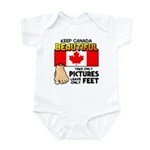 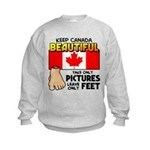 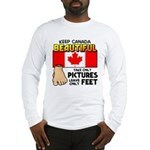 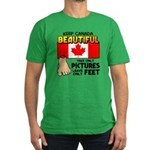 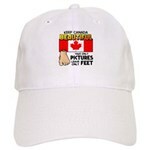 This past current event t-shirt design spoofs the mysterious severed feet washing up on Canadian shores. 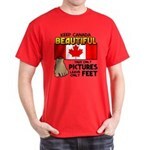 Design shows Canada flag and severed foot.